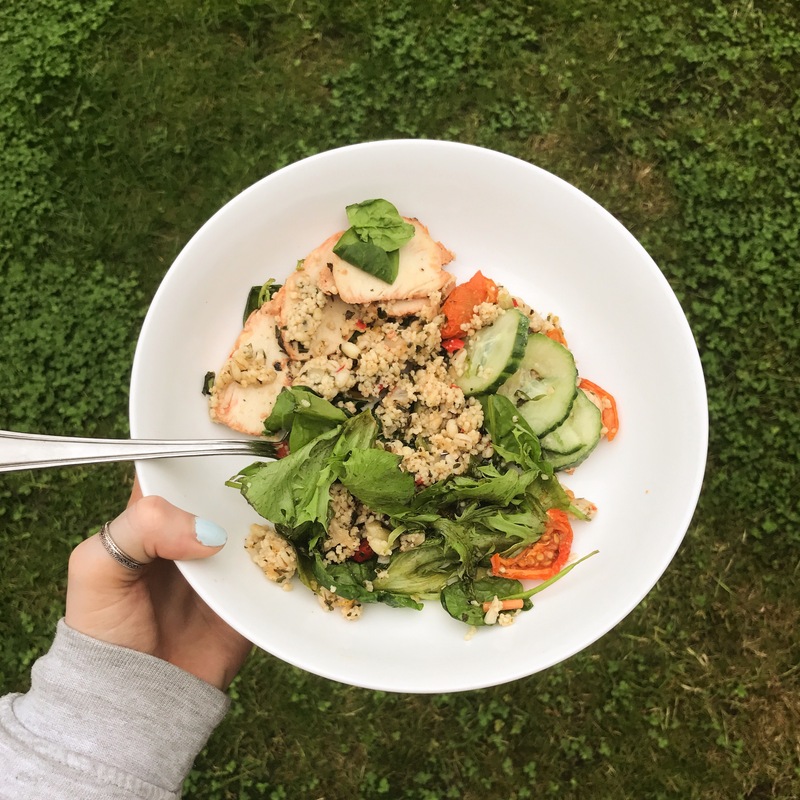 I recently did a post on some healthy lunch ideas, and because I love food so much I’m going to talk a little bit more about what I find is the hardest meal – lunch. Living a busy lifestyle which may mean you don’t always have the time to make yourself lunch and you may find yourself prowling the confectionery isle of Sainsburys with a screaming stomach. We’ve all been there. 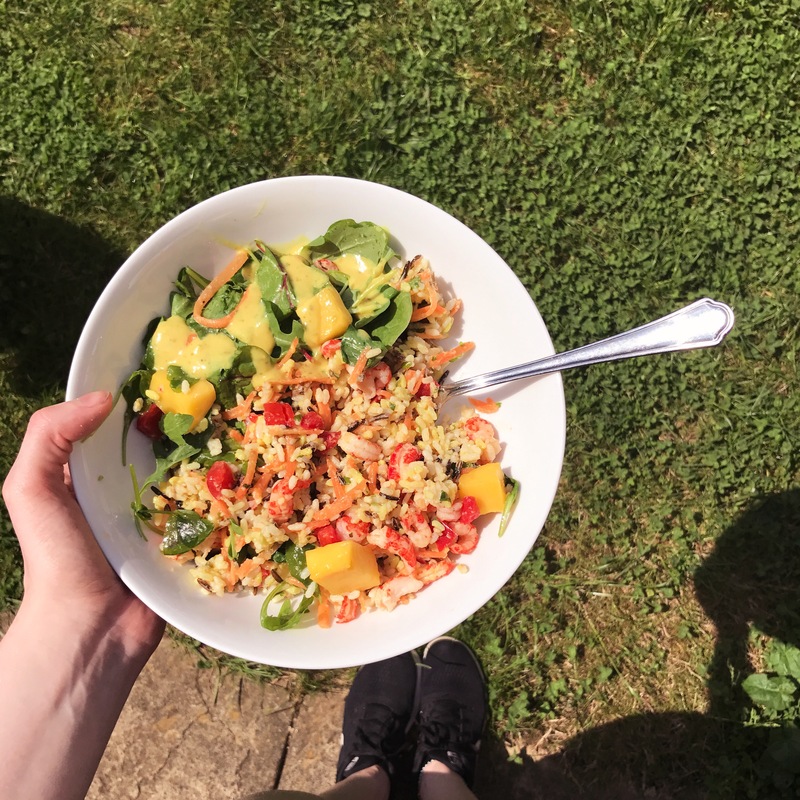 But fear not, because I’ve taken myself on another quest and found some great and healthy salads and juices from some popular lunch on the go locations so you can make the most of your lunch. 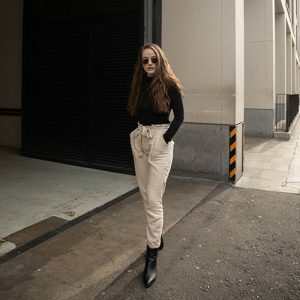 As much as I go into Boots, and trust me I go there a lot, I hardly ever buy their food – and I’m not sure why because their meal deals are the bomb. Honestly £3 for a salad, drink and snack? Take my money. 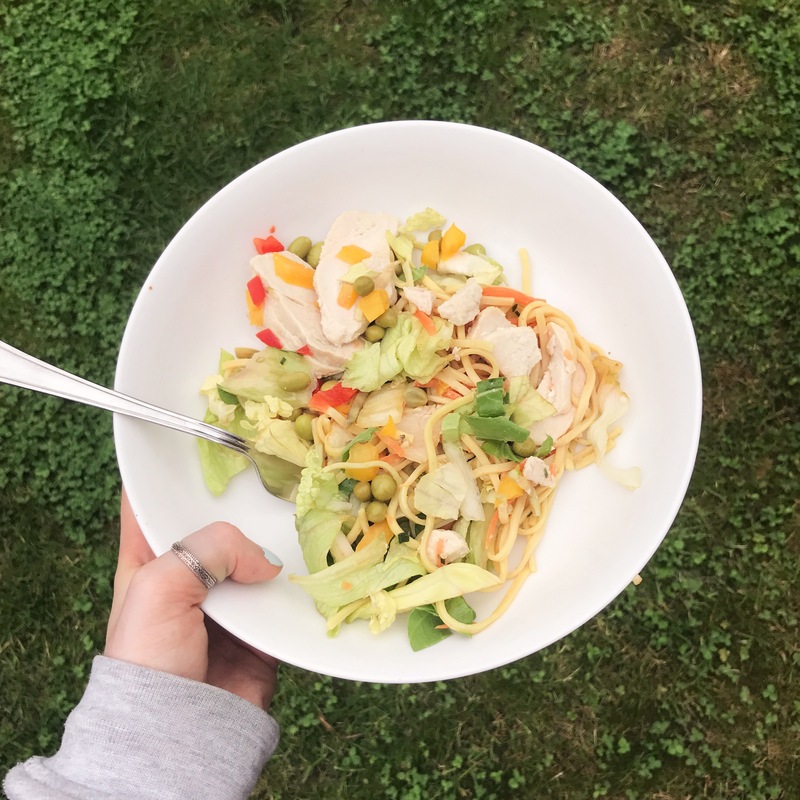 I went with this sweet chilli chicken noodle salad and I’m very impressed. I love me some sweet chilli and some noodles, and I’m very judgey with these things, but it tasted great, I can’t complain. 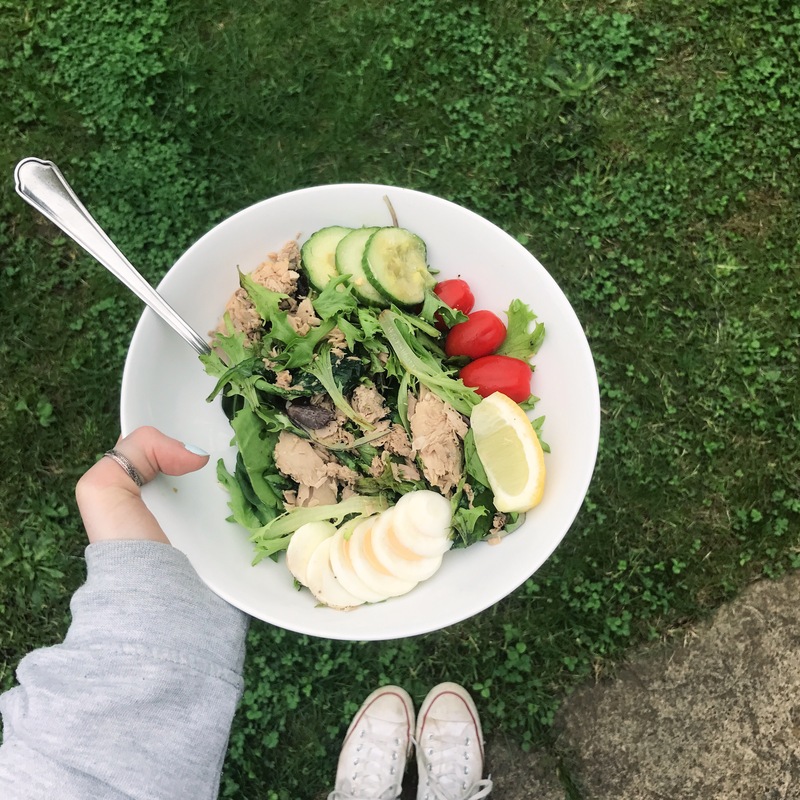 It was especially surprising as it was from their Shapers range, which is the healthy or weight loss range and sometimes those sort of meals can be quite bland. However the portion size wasn’t that generous, but still it was perfect for a light lunch. 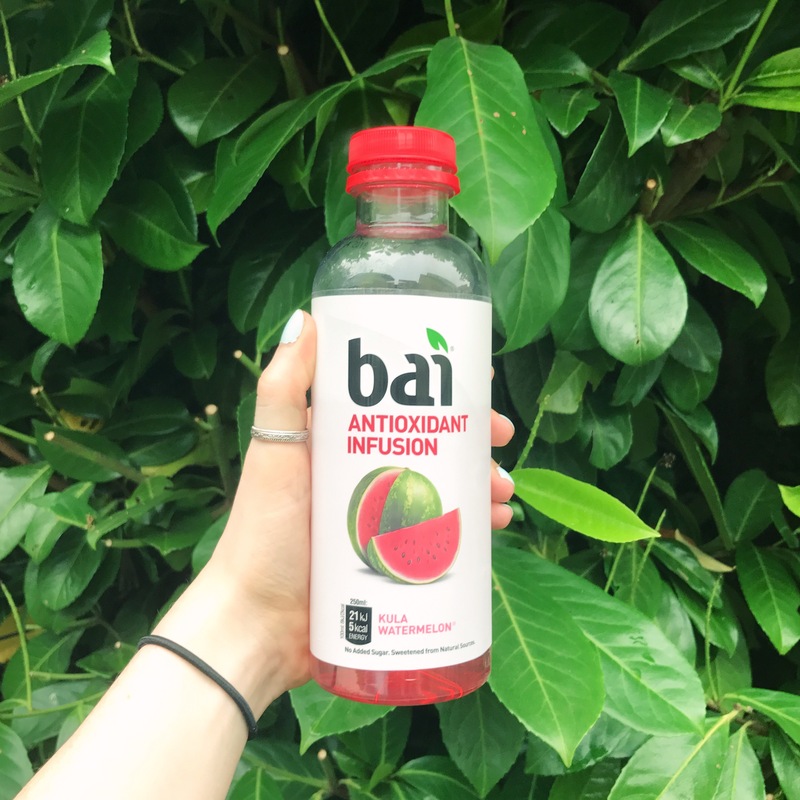 To go along with this, Boots didn’t really have any juices so I went with this Bai watermelon drink. Watermelon is my favourite food, and I’ve never really found watermelon flavoured things taste anything like watermelon but this drink is a step closer, still not exactly watermelon, but it’s close. And it was really refreshing and light, it says antioxidant but I never buy too much into those things, I bought it more for the flavour. Starbucks, as much as I love you, your salad range is oh so sparse. Which is probably why I never really get food from there. 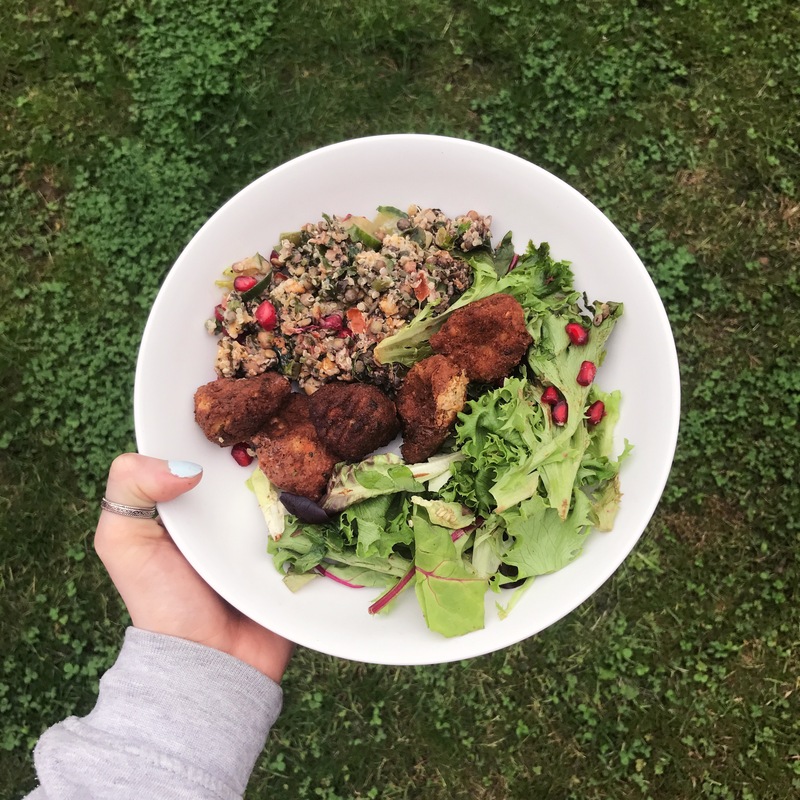 However they do a sweet potato falafel, quinoa and lentil salad which also has cucumber, herbs and pomegranate seeds on – everything I love all in one salad. And it did not disappoint. It was a great portion size and had some great flavours, and really wasn’t a bad price for what you get. It also came with a little pot of dressing on the side, which I love as dressing can be quite fatty, which isn’t a problem for me but may be for others, also sometimes you just don’t want dressing which is nice as you can have the option. Alas Starbucks didn’t do any juices, they do have a good range of smoothies however and of course, their coffees are always fab. It’s a 4/5 from me. Ahhh Pret, possible my favourite eating place of all time. It’s not exactly the cheapest place to eat but is so so worth it. After a long long time trying to decide what to get I went with this Tuna Nicoise Salad which had Kalamata Olives, Free Range Egg, Baby Plum Tomatoes, Salad Leaves, Cucumber, Lemon Wedge, Red Onions, Seasoning, Dijon Dressing – so you’re not being deprived of anything. Again it comes with a pot of the Dijon Dressing on the side, so you can have the option. This, although is rather jam packed with different things, is still quite a nice simple salad with a good balance. And the portion size is huge so this is a great lunch and maybe even a light summer dinner. Pret are also the kings of drinks, I went for carrot juice simply because I’ve never tried carrot juice and I thought I’d be daring. 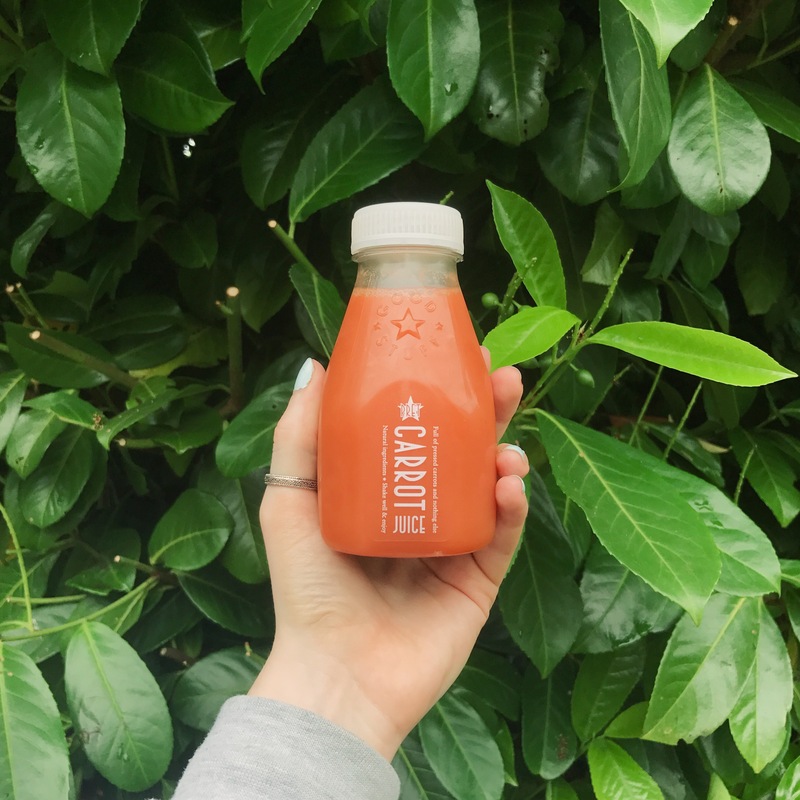 Spoiler alert – I don’t like carrot juice. However I’m not knocking Pret, I loveee most of their drinks and they’re all natural and delicious. I’ve never really delved into Greggs for lunch much, unless their cookies count? So I was pleasantly surprised to see their range of salads available at such great costs. So it’s perfect for on the go without breaking the bank account. Sadly the one I went to only have 2 available and as I don’t eat red meats I went with the Chargrill Chicken, Roast Vegetables and Grains Salad which also comes with a vinaigrette dressing (in a separate pot – well done Greggs) and I cannot complain one bit. It’s nothing extraordinary, but it really doesn’t need to be. It has a bit of everything, and they don’t hesitate with portions making it a perfectly simple salad – which is all you need. I also picked up a tropical juice drink, which I thought could go one or two ways. Either tasting like a drowning pineapple or so strong it gives you a headache. And my mother got to the drink before I could try it (and photograph it – thanks mum.) and she didn’t like it leaving me with not the highest of expectations but actually, I quite enjoyed it. Its a very subtle taste but not watery and is just light and refreshing. Once again, I’m very pleasantly surprised and I can’t complain, they have everything to a T – 5/5. I used to love M&S, then I suddenly just stopped going. But my return was not a pleasant one. I went for a Crayfish and Mango Rice Salad and was not impressed at all. It was a very colourful, jam packed salad I’ll give them that, but with absolutely no flavour. And £4 for what tasted like nothing? No thank you. Obviously this is just my opinion but it didn’t fill me up or satisfy me. 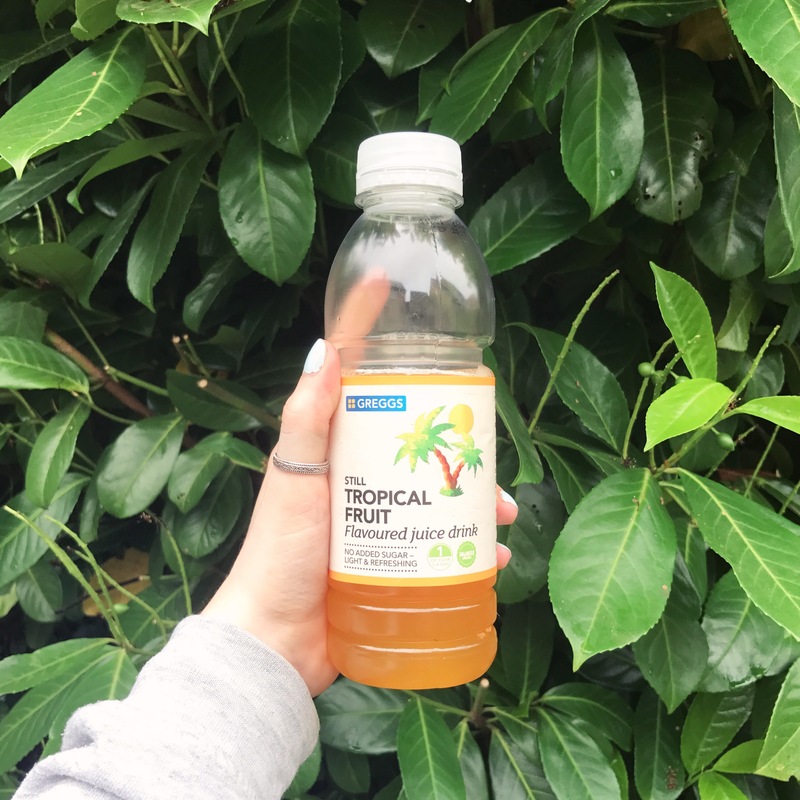 But not all hope was lost, I do love M&S’ juices and picked up an Apple, Pomegranate, Cherry and Acai juice drink – which didn’t fail to please. The initial flavour is very appley. But after a sip or two all the great flavours start to welcome you. Alas only a 2/5 this time. So I hope you enjoyed this little foodie post. Also, I have added some nutritional information for those who may find it interesting. I found them from the companies’ websites however some are from MyFitnessPal so may not be exact. But of course it’s not always important and you shouldn’t have to read into everything you eat! *DISCLAIMER* This post is in collaboration with Greggs and all salads were covered for. All opinions are my own. Loving your honest review, they all look so good though, such a shame about the M&S one! Always forget that these places have food tbh. Always only ever in there for drinks, now I really want to try the Starbucks falafel salad! Thanks for sharing! I haven’t heard of many of these places (I’m in the U.S in the rural part for the moment) I had no idea Starbucks even had salad,.. I’ve never seen one at our local Starbucks, only pastries. These look yummy! Pret is almost always my first choice! 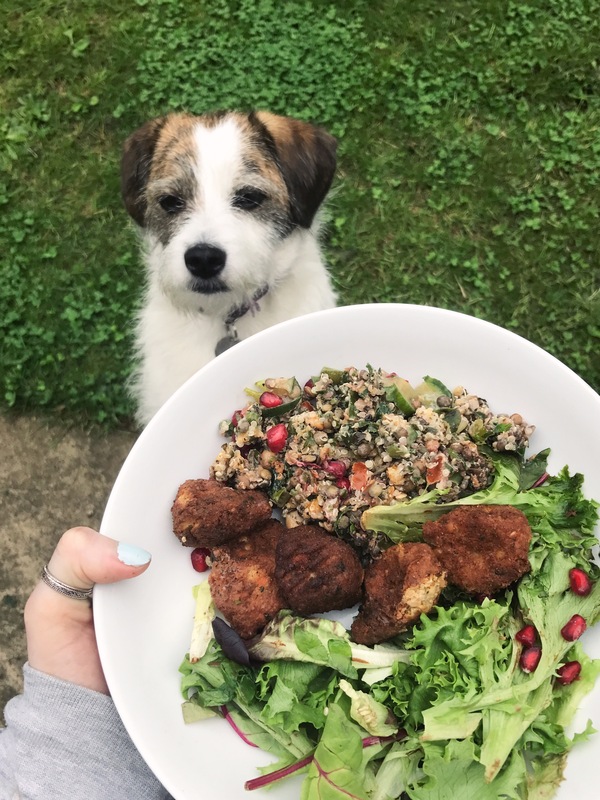 Their range of salads is just too good – I love the one with the pepper tapenade and falafel! And Boots is good too! I always use my clubcard points from buying makeup etc to buy my food haha so it doesn’t even feel like I’m spending money! Somehow salads to go look so much more appetising when arrange in a nice bowl! How are you doing this?! 🙂 By the way, is that your lil doggy looking hopeful for some snacks in that photo? Aww! Oooh, tuna nicoise is my absolute favorite kind of salad! It seems like you have much better options in the UK for grab and go lunches than we do in the US. Even your Starbucks food is more exciting! Brilliant post em! I’m not one for buying salads as I like to make them myself as I’m a bit fussy with hen it comes to food! Cray fish doesn’t sound too nice either…Think I might make a chicken salad with cous cous at some point though! Lunch is definitely the hardest meal of the day for eating healthy especially when caught out and about! These all look yummy tbh!